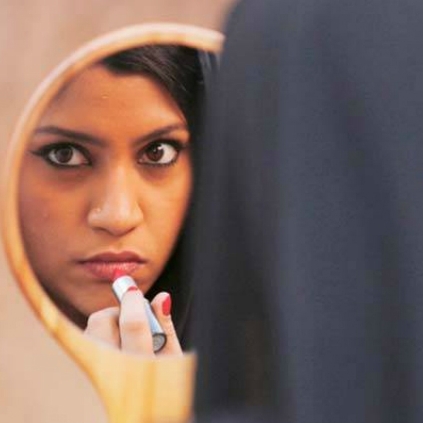 After many issues with the Central Board of Film Certification (CBFC), the trailer of Alankrita Shrivastav directorial venture 'Lipstick Under My Burkha' was released on Tuesday. At the trailer launch, Ekta Kapoor addressed the media and answered one of the questions asked by a reporter, if the middle finger in the film's poster was a reply to CBFC. She replied that there was no problem with CBFC as they did their part of work. The middle finger was pointed towards the patriarchal society, which compels women to suppress their freedom. Ekta Kapoor further added that when she saw the film, she found it extremely interesting, sensitive, and funny too. Ekta also said the movie revolves around four women and their sexual desires and freedom. She also said may be the content of the film is such that CBFC was forced to certify it with 'A'. People looking for online information on Ekta Kapoor, Lipstick Under My Burkha will find this news story useful.